Will Going Private Save PC Maker Dell? Dell’s decision to sell itself to CEO Michael Dell and technology investment firm Silver Lake has sent analysts into a frenzy of deconstruction to try and make sense of what it actually means. Shareholders will receive $13.65 in cash for each share which is now about 10 cents above the market close, valuing the company at approximately $24.4 billion. CEO Michael Dell will contribute his 14% of Dell shares as part of the offer. The other notable part of the sale is that Microsoft is lending $2 billion to part-finance the purchase. 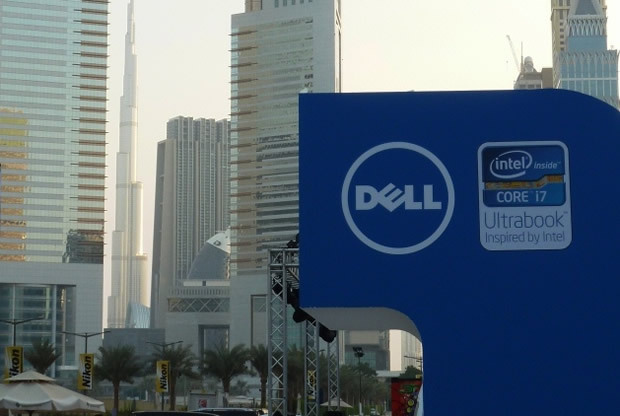 So what does it mean for Dell and its customers? On the US markets, they may claim that company fundamentals are important but appearances are everything. Apple’s meteoric share price rise and fall over the past year has highlighted the extreme fickleness of Wall Street’s affections for a company. Like all aspects of society, attention spans have shortened to YouTube video lengths. If you aren’t constantly “wowing” market analysts, you will lose their attention and, ultimately, their support. So it has been with Dell. Not only have they failed to “wow” the market with their products, they have been mixing with the distinctly unfashionable crowd of enterprise IT companies like HP and IBM. From a market perspective, their share price has been on a steadily downward trend from a post-Internet-bubble high of $42 to its currently parlous price of around $13. As a company, when you are constantly judged by your performance on the financial markets, it can’t help but affect your underlying business. It will eventually affect how your customers perceive you. Worse, internally, staff’s time and energy goes into concerns about stockholders and short-term effects rather than necessarily worrying about what is in the best interest of their customers or the company. For a company whose stock price is largely static, you lose many of the advantages of having tradeable stock. You can’t use it as a financial incentive for your own staff, for example. Stock options have no value if the price doesn’t increase. If you are like Microsoft, and decide to pay dividends on the stock in lieu of the stock’s poor performance, money is going out of the company that could be used for further development or investment. However, going private will leave Dell with $15 billion of debt that it has to service, and so it has swapped the scrutiny of the markets for scrutiny of the banks. The fact that Microsoft is involved in this deal with a $2 billion loan has been read as Microsoft’s attempt to shore up a declining PC market. Dell’s financial results have highlighted the precipitous drop in the consumer PC market and this has had an impact on Microsoft’s sales of Windows 8, which are still growing slowly. Microsoft has wanted to increase its control over the hardware side of its business. Investments in Nokia and the release of its own tablets have signalled how much CEO Steve Ballmer would like Microsoft to follow in Apple’s footsteps. The challenge for Microsoft is to do this without annoying other manufacturers, who see Microsoft’s interference as direct competition. The consequences of this are already apparent. HP has joined Samsung in shipping a notebook computer powered by Google’s Chrome OS. Last year, manufacturers like Samsung cancelled plans to build and promote the Microsoft Surface RT tablet. With closer ties to Microsoft, Dell may not be in a position to act as independently of Microsoft. Plan X in the Works? Along with musings of whether Dell will use its private status to sell off parts of the company, notably its consumer division as IBM did with its PCs, some have wondered whether Dell’s move will enable it now to take risks and innovate. Even if this is the plan, it is unlikely to work. Dell has historically been recognised for its innovation in allowing customers to easily buy customised and good value PCS and computer equipment online. At the height of the PC market, this propelled Dell to its prominent position in the consumer PC market. Outside of this however, every time Dell has tried to extend its product range into other consumer devices like mp3 players, tablets and phones, the results have been less than ordinary. Nothing about going private will fix Dell’s inability to do anything other than what it already does.